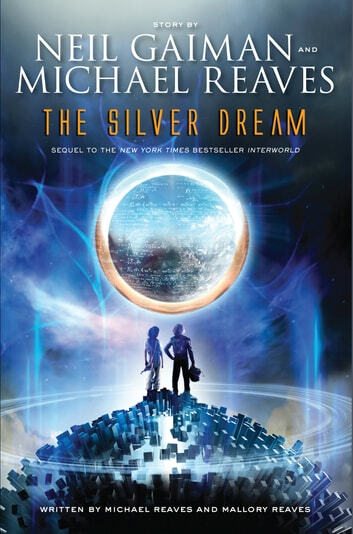 Written by New York Times bestselling authors Neil Gaiman and Michael Reaves with Mallory Reaves, The Silver Dream is a riveting sequel to InterWorld, full of bravery, loyalty, time and space travel, and the future of a young man who is more powerful than he realizes. Dangerous times lie ahead, and if Joey Harker has any hope of saving InterWorld and the Altiverse, he's going to have to rely on his wits—and, just possibly, on the mysterious Time Agent Acacia Jones. Is it wrong to eat people? I am severely disappointed with this book. I've read Mr. Gaiman's works for years, including Interworld, and this is his weakest yet. The story is just simply incomplete! The book suddenly ended, leaving you with questions, lots of them. Questions like what happened, what's Joey going to do now, what is this silver dream. Gone is the sweet, klutz but gold hearted Joey that we all know and loved from the first book. Instead what we have now is a self loathing, self deprecating teenager who is suddenly all gooey on the first not-his-incarnation girl he has seen in years. And yet suddenly, at the last 3 pages, suddenly he grow the balls to make real decision to stand up for something. What's up with that? Where's the character development? The piece about time stream did intrigue me a little. It added the extra dimension to the entire story, literally. Acacia however is not a fantastic character at all. She feels like another teenager girl, another Buffy who can travel through time. Yet with all her awesome powers she is as useless as a teenager girl in love. Liking the guy but giving him all the hardest time in the world. Finally, again I have to mention the book ended so abruptly that I have to conclude it is a gimmick. The book is purposely cut at that point so a third book can be made and sold! If you haven't bought this book, don't! Wait until it come out at your local library, or better yet wait until the third book is out then get both at the local library. 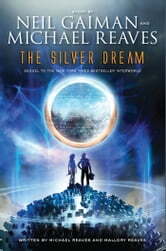 Convoluted, pretentious, tries too hard to be clever and lacks the charm of the first book, Interworld. The first book of the series was of to a promissing start. This sequel reads very much like a dumbed down version, specifically aimed at a market of woefully underestimated 'young adults'.